If you don’t execute, you don’t eat. This sums it up perfectly. EXECUTION is ALL that matters. Apologies to the delicate sensibilities out there, but all the warm fuzzies of best intentions won’t sell SQUAT. Positive thoughts and “hard work” alone won’t move product or make a difference if nothing actually, HAPPENS. If you make a difference, a REAL difference, then something should be DIFFERENT because you were there. Sounds simple, right? Are the material conditions on the ground different because of something you DID? If so, you made a difference. If not, hate to break it to you, but we’re still waiting. I’m flummoxed and fired up when a solid sounding strategy never makes waves. It stays perfectly conceptualized inside the minds of the creators and on the tongues of the braggarts and blowhards – but never encounters the harsh light of actually being birthed into the world. I get it. The world is messy and there are question boxes to outnumber those in the Mushroom Kingdom. There are as many threats, too. If you’re scared, if you can’t get over those fears to bring something to life, please do the rest of us a favor and politely move out of the way. There are things to make and worlds to conquer and markets to impact. You can’t sit around talking about how cool it would be to kill a wholly mammoth, and survive. At some point, one of you is going down. Stop talking and pick up a spear. Stop telling me about your responsibilities and tell me about what you changed – what DIFFERENCE you actually made. I had five meetings today. That’s a lot for me in my current position as I don’t typically have five in a week. I’d heard a maxim “The only people who enjoy meetings are the ones doing the talking” and it’s served me well. These meetings were different though – I had stories to tell. You’re no doubt familiar with the slogan “Don’t mess with Texas“, especially if you’ve ever been to the state. What you probably don’t know is that it was/is an advertising campaign to curb littering. Yeah, littering. I wouldn’t mess with it if I were you. It was a huge deal for the state that cost around $20 million per year in highway clean up. The problem was massive and so were the proposed solutions: stiff fines, stronger enforcement, pleading messages to “keep Texas beautiful” printed on everything in sight – nothing worked. The solution came from a pair of creatives at an advertising agency which tapped into the power of stories. They looked at their target market (18-35 year old males – the ones most likely to litter) and found a story that spoke to them. Texas, having been its own country for a time, has a strong independence streak, and possibly more pride than any other state. To be a Texan is a badge of honor and a huge part of one’s identity. 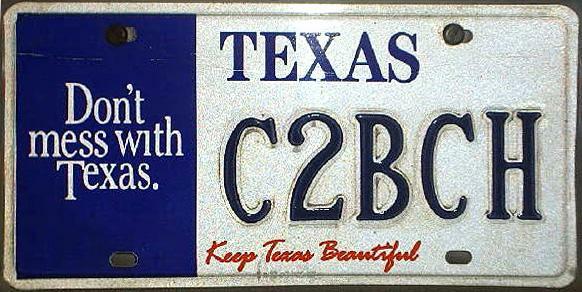 It even applies to transplants to the state – it doesn’t take long for converts to adopt the “Don’t mess with Texas” attitude. It’s really quite something to see. The campaign consisted of State heroes in print and video, conveying that Texas wasn’t to be screwed with, and that if it were, well… not good things would happen. Check out this classic commercial for an example. That’s a powerful story. 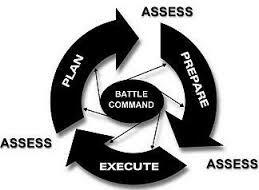 It’ s simple and yet still manages to have a massive impact on behavior. I relay this story as I’m trying to do the same thing. In fact, I think the test of a leader is how much they can affect the culture of their team for the better. What kinds of stories do they tell? What effect do those stories have? How did we get better? This is the most significant part of my job. So today was about telling stories to my team and what separates us from the rest: “Other Agents text their BFFs on tours and ignore prospects, we stand and greet people with a warm smile and an eager handshake. Motivating, right? The truth is, I LOVE these meetings. I get animated and excited and start wildly gesticulating all over the place. I can’t help it. I swear, I get as much out of these meetings as I give, I think. And that’s why five meetings wasn’t so hard. It was important and it was empowering and thoroughly necessary. At it’s core, telling stories (the right ones) is what leadership is all about. Fortunately, I really like telling stories. “Be Confident”… why didn’t I think of that? Ok, she didn’t actually say “Be rad” but that would have been a nice touch. As I was in an introspective place when I read it, I thought “Oh, why didn’t I think of that? I’m going to be confident today! Psssshhh.” As though confidence is a thing you decide to do vs. a thing you either are or aren’t. Try: “Be experienced today” and see how far you get. Confidence, like experience, is a thing that once obtained tends to become a part of you. Before you blow me up here, I know there are a myriad of exceptions and confidence can be lost – but just go with me on this one. Working in Student Housing, one of the hardest things to do is to get College Student Leasing Specialists to be confident in the selling process. To most people, sales is a filthy, perverse word readily eliciting the image of a car salesman wearing tweed and twirling his waxed mustache, like some silent-film-era-villain, while he forces some damsel into purchasing a Jetta at 13.9% interest – with an extended warranty. Terrible things, no doubt. So before I can tell them to “Ask for the sale! 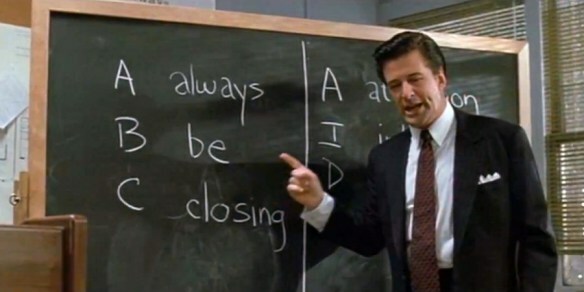 Close EVERY lease!” (read: Be Confident) and do my best Alec Baldwin impression from “Glenngary Glen Ross” I need to build their confidence. There are multiple ways of doing this but I have my favorites that tend to resonate with everyone. Often I’ll ask them to tell me about their last big purchase. Inevitably this is a laptop. When I ask them how they decided which one to buy from the endless sea of choices they’ll inform me that they went into a Best Buy and told the person what they wanted and that person told them which was right for them. VOILA! SUCCESS! Could it really be that easy? You want confidence? Here it is: These people are coming to you because you are that person! You’re the expert! People buy things from people who they believe know more than them on the subject and have the solution to their problem! Your prospective Residents WANT YOU TO ASK THEM TO SIGN A LEASE! They may not consciously know it, but they want to be told. A guy doesn’t walk on the lot lest he wants to buy. So true Alec. So true. p.s. 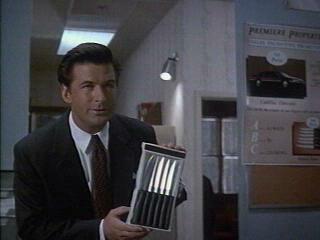 2nd prize is a set of steak knives. Instead of imploring someone to be “something”, can you help to actually make them “something”? Can you offer a quote, a perspective, a new way of looking at things that helps make them; confident, proud, assertive, aware, concerned, involved – or any other adjective?